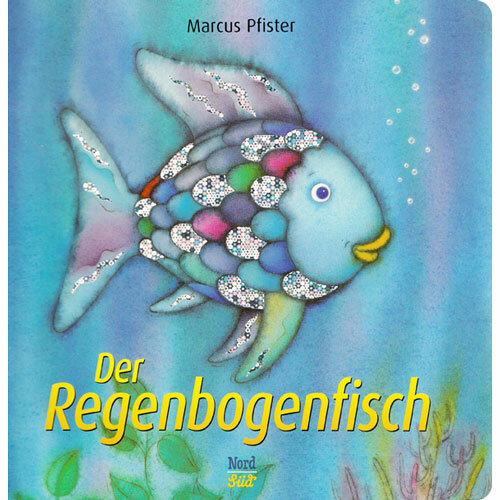 The Rainbow Fish learns that being selfish won't make him popular. This is a wonderful story about sharing. Der Regenbogenfisch is written entirely in German with no English translation or pronunciation guide as it is intended for native users. 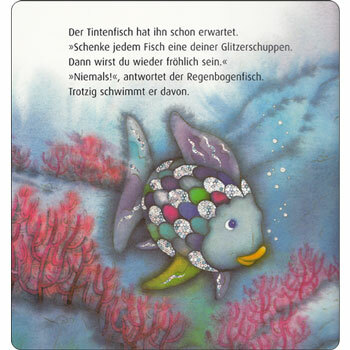 It is a sturdy board book format, making it ideal for toddlers and young children.